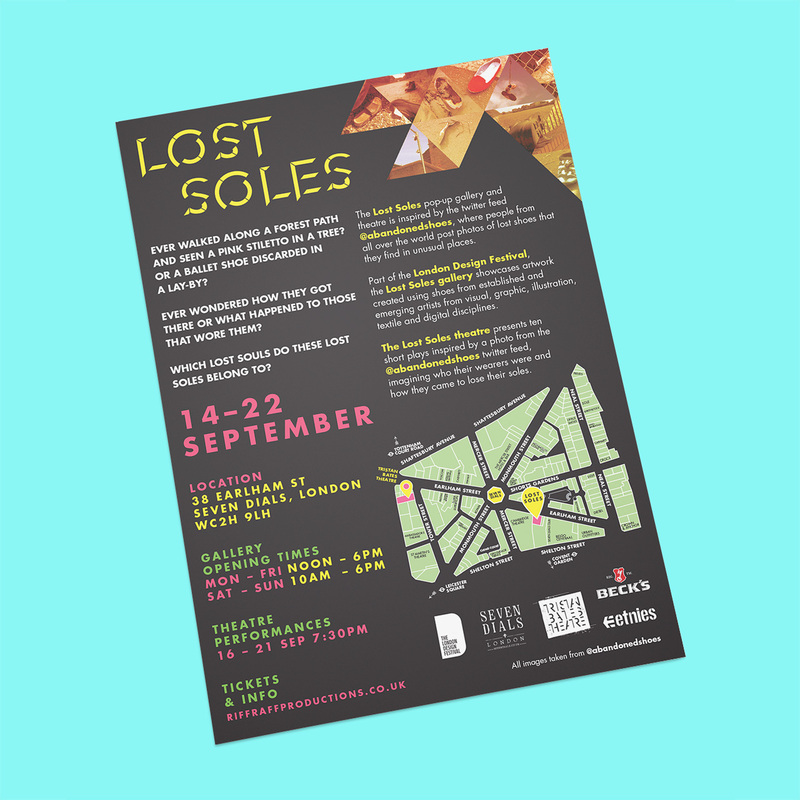 Design and promotional material for new writing festival and pop-up gallery, Lost Soles. 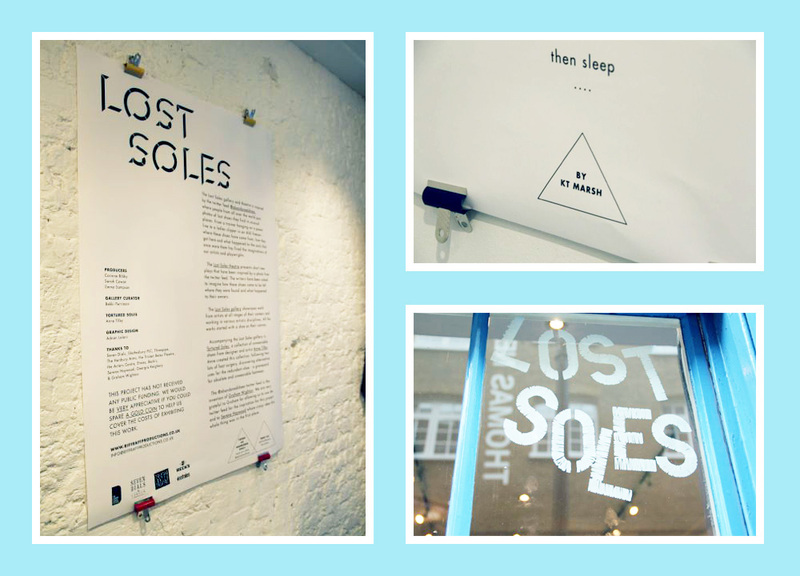 As part of London Design Festival 2013, I worked with Riff Raff to develop the branding and collateral material for their new writing festival and pop-up gallery, Lost Soles. 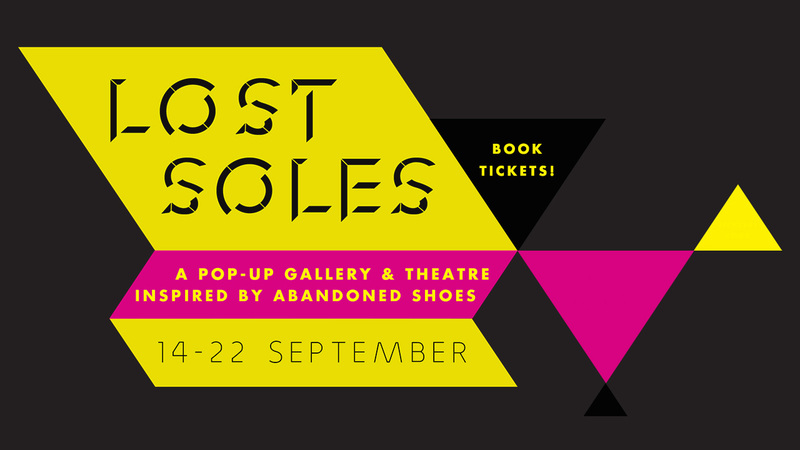 Centred around creative pieces inspired by the twitter handle @abandonedshoes, we developed a design system that aimed to celebrate all of the photographic submissions to the feed. 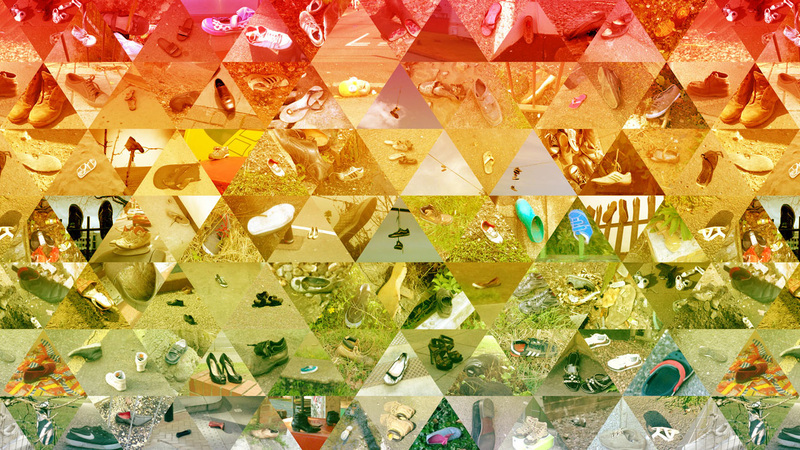 A mosaic pattern was used as a foundation to house the various photos, as well as create a flexible, modular grid to highlight key pieces of information and messaging. 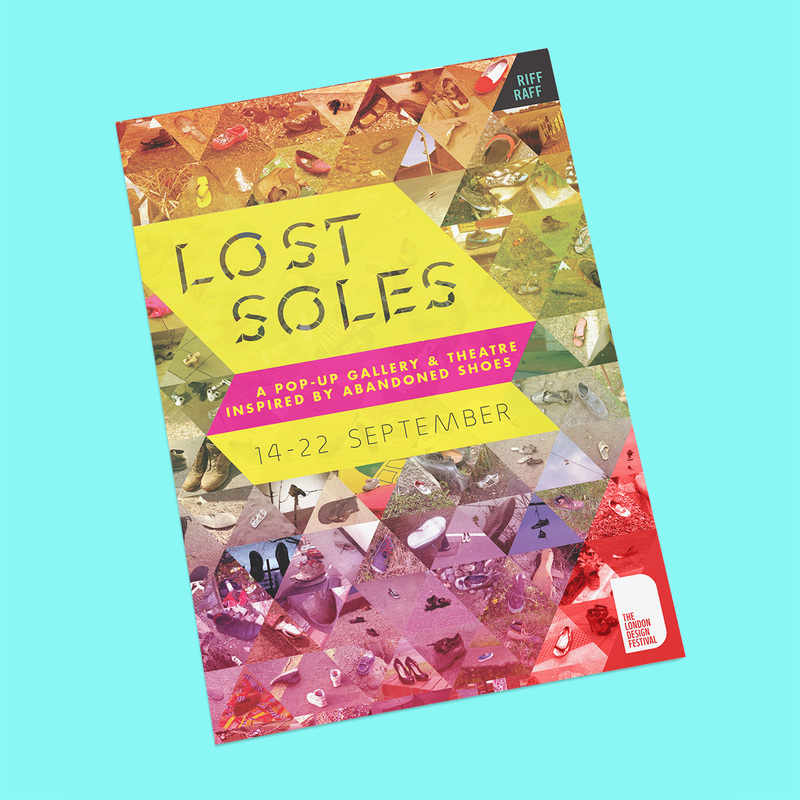 Given the variety of works on display during Lost Soles, we wanted to keep the design as playful as possible, using a bright and bold colour palette to capture the eclectic nature of the event.